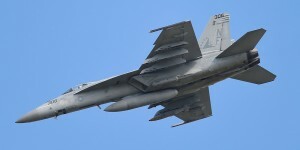 Operating without any form of invitation from Damascus, or any resolution under international law, a US F-18 Super Hornet downed a Syrian Su-22 fighter-bomber over eastern Syria as it engaged targets in territory occupied by the so-called “Islamic State” (ISIS). It was the latest in a series of direct military strikes carried out by the US against Syrian government forces as they attempt to retake positions from terrorist organizations operating in their territory. The move was categorically condemned by the Syrian government and its allies, including Russia. On Monday, the Russian Defense Ministry said its warplanes had been operating in the area of the encounter between the U.S. and Syrian jets. It said the coalition had not used the deconflicting hotline to warn the Russian jet. “Multiple military actions of U.S. aviation under the guise of fighting terrorism against the legal military of a state that is a member of the United Nations are a flagrant violation of international law and constitute de facto military aggression against the Syrian Arab Republic,” the ministry said. The Washington Post also made mention of, “the possibility that the U.S. could be forced to deviate further from its stated policy in Syria, which only involves targeting Islamic State militants,” betraying 6 years of reporting even by the Washington Post itself admitting America’s role in Syria as primarily focused on regime change, not fighting terrorists – as the Russian Defense Ministry alluded to. By hindering Syrian forces attempting to move east toward Raqqa, Deir ez-Zor, and beyond, the US hopes to continue stationing both its own forces, and armed proxies creating a de facto state within a state separate and opposed to the government in Damascus. From this carved out territory – having long-since failed the outright overthrow of the Syrian government – the US plans to incrementally expand westward from ISIS-held territory – while Turkish forces and their proxies move south, and another contingent of US forces from Jordan attempt to move north-northeast – in an attempt to eventually consume the Syrian state. When appropriate, the safe zones would also be used to accelerate recruiting and training of additional opposition fighters who could live in, and help protect, their communities while going through basic training. It is clear that this plan, verbatim, began in earnest under the administration of US President Barack Obama and is being aggressively expanded under US President Donald Trump. It is also clear that Syria and its allies are challenging it to the point where the US finds it necessary to use overt military force to establish its “de facto safe havens” before expanding them and launching a larger scale regime change campaign from them. For Syria and its allies, finding an appropriate deterrence to impede or even role back this effort by the US and its proxies is essential. Also a possible necessity is correctly calculating a line the US will be unable to cross and presenting US forces illegally operating in Syria with this line. 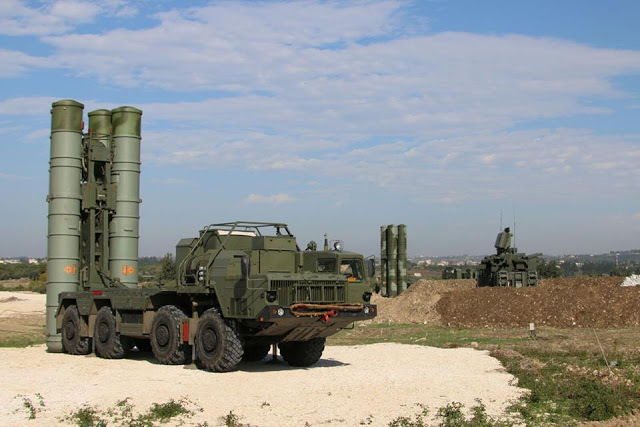 With Russia withdrawing – at least temporarily – from a memorandum of understanding regarding US and Russian air operations over Syria, plausible deniability regarding the potential and accidental targeting and downing of US warplanes illegally operating over Syrian territory becomes a distinct possibility. Because of the precedent set by the US itself regarding rogue geopolitical behavior and unwarranted military aggression worldwide, the US will find itself with few sympathizers globally should it begin suffering losses in Syria following its own increasingly reckless behavior. Ultimately, however, strategic planners in Damascus, Moscow, and Tehran must determine how much territory Syria can afford to lose during this process of US-driven Balkanization, how sustainable it will be for the US and its proxies to hold this territory – let alone expand it – and if it will be possible to let time work against US designs in the region and take the territory back at a later time with less risk and cost involved. In the meantime, the US should be expected to carry out more strikes on Syrian forces and their allies as it attempts to establish de facto “safe havens” admittedly aimed at regime change – with fighting ISIS merely a pretext for US involvement in Syrian territory. A lack of a robust response from Damascus and its allies is more likely owed to a longer-term strategy of dealing with US aggression in an attempt to avoid granting the US and its regional collaborators a wider pretext for a more direct application of military force against the Syrian government. However, the US itself – while crafting narratives to enable its Syrian policy – claims that regime change at this point would only empower extremist groups in Syria including the Islamic State – thus it would be most beneficial to Syria and its allies for alternative media sources to remind the public of this fact and what both current and wider US aggression against Damascus would mean in terms of enabling, not ending the Islamic State’s reign of terror both in the region, and around the globe.